I have speakers plugged in and recognized because audio is playing out of them on the 3.5 mm audio (headphone) port on my windows 10 pro tab. However these speakers are not appearing in the playback tab of the "Sound" setting of the control panel nor are they found in either "Sound, video, and game controllers" or "Audio inputs and outputs" of the control panel. Also, none of these settings change when these speakers are plugged into this 3.5 mm audio (headphone) port. 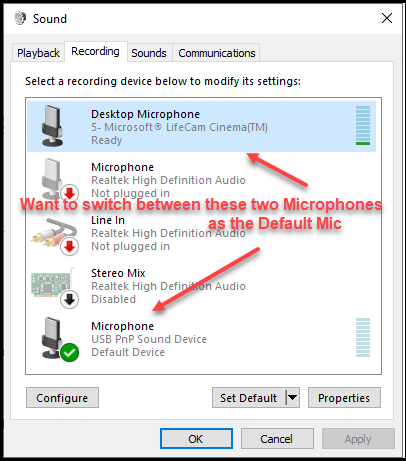 What I would like to do is, using Visual Basic 6.0, when a command button is clicked (cmdSound1_Click()), have a message (msgbox) that reads simply if there is a device installed in this 3.5 mm audio (headphone) port. For example "Hardware found in audio port" or "No Hardware found in audio port, please be sure that the speakers are powered on before trying again." I am looking for a switch which, when turned on, automatically switches off after a predetermined time like 1 minute or two minutes. The application is a door light which is turned on when someone rings the doorbell. What would such a switch be called. Any link would be welcome from which I can purchase it. Ali Express is preferred as it definitely delivers to my country. I am looking for a wireless mouse and keyboard that will work through walls at a distance of at least 40 feet. 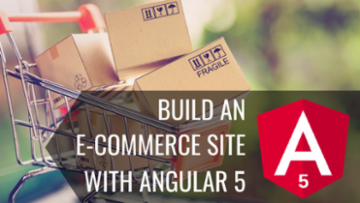 Are there any models available that will do so? Everything that comes out from our HP M227fdn is powdery. We leave it sitting to maybe dry but it doesn’t help and if the printed area is touched the ink smears. Any ideas as to why this is happening? Hello - we have a Surface Pro 2 that has a problem with the USB port not working. It has been working ok for about a year now, but suddenly stopped working. only the Sufae cover-style keyboard and mouse work for peripherals. I have updated the unit to the latest Windows 10, but there are some updates waiting, which I am installing right now. when I check Dev Mgr, nothing is in an error state, and it appears that all drivers are installed and OK. what would cause the USB port to stop functioning? looking for some help on this. We have a couple of old Lexmark 2500+ series dot-matrix printers still in service that are used to produced shipping labels, one or two or ten at a time. These printers have a horizontal metal shaft and the printhead slides back and forth on that shaft, driven by a motor and cogged belt. One of these printers has started to malfunction and as best I can tell it's because the printhead/shaft mechanism is in need of some lubrication. If you slide the printhead manually, you can feel resistance. Cleaning the shaft with rubbing alcohol seems to provide a temporary fix. Once upon a time, I was told that printers of this type should never be oiled as it would ruin the bearings in the printhead mechanism. However, according to the service manual on this Lexmark this one should be lubricated when certain parts are replaced, including the "oil felt (carrier block)". It further goes on to say that only mineral oil based lubricants should be used and gives a Lexmark part number 1280443 and these approved equivalents: Mobil DTE27, Shell Tellus 100, Fuchs Renolin MR30. My questions are, should I be lubricating this printer even though I'm not replacing any parts? Secondly, I'm having difficulty finding the specified lubricants in any size other than 5 gallon containers, costing over $100 each. These all appear to be "anti-wear hydraulic oils". Am I obsessing too much trying to find the exact spec oil or can I get by with something off the shelf, as long as it's mineral oil? I installed a newer nic in my win 10 pc and it isnt installing. Jabra Pro 9450 Duo Stereo headset fully compatible with VOIP services like WebEx? Is the Jabra Pro 9450 Duo Stereo headset fully compatible with VOIP services like WebEx? I am planning to buy a ipad pro12.9inch. The primary purpose for this ipad purchase to make notes (using pencil) and annotate using a keyboard. In this regard can someone please guide me on purchasing a screen protector which which will withstand the rough scribbling. Also a ipad pro case cover along with keyboard and pencil holder. I am aware that Logitech is widely used brand. I am open to other brands which are equally good. What is the part number to purchase a USB dongle for a Jabra Evolve 65 MS headset? Need to Sell Old Xerox WorkCentre 7232 in Manhattan. 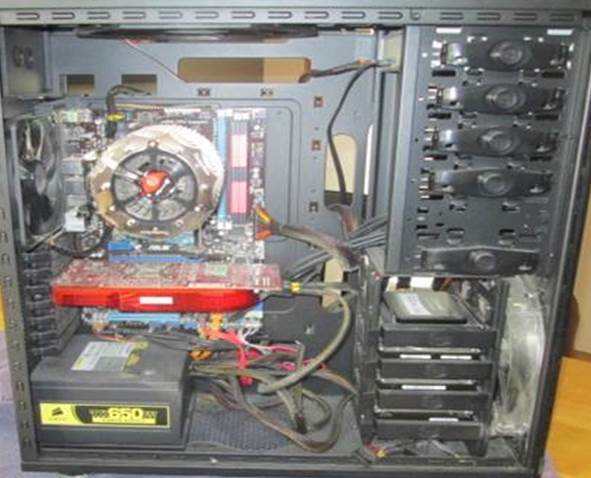 Is there a company that buys old units? The user has a 9 year old Xerox WorkCentre 7232, with multiple tray feeds. Is there anybody in the New york City area who buys older Xerox units? I need a new external drive for a Dell T5810 Precision Workstation running Windows 10 Pro. The external drive is used mostly for onsite data backups. I want a drive in the 2TB to 4TB range. The T5810 only has USB 2.0 and USB 3.0 ports. I am willing to add an expansion card – for example, for USB 3.1 ports. I want a highly-reliable, reasonably fast external drive. 1. Do you recommend SSD or conventional drive? Why? 2. USB 3.0, USB 3.1 / USB C, or other interface? Why? 3. What brand and model do you recommend? Please include why you recommend it. 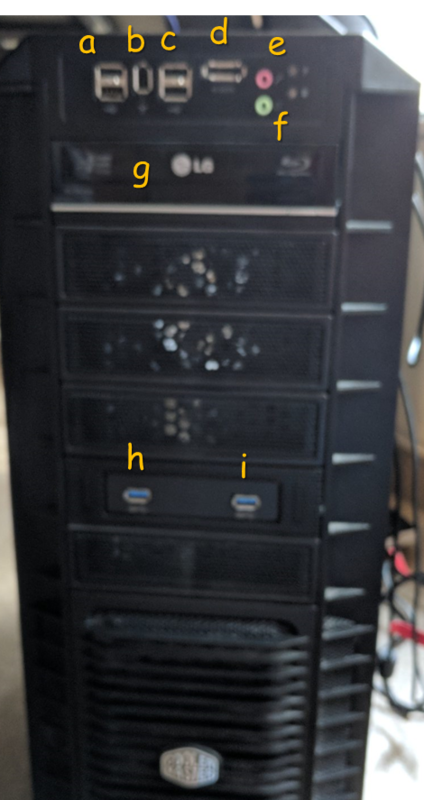 Yesterday I posted images of the front of my computer and shown below are images of the back. 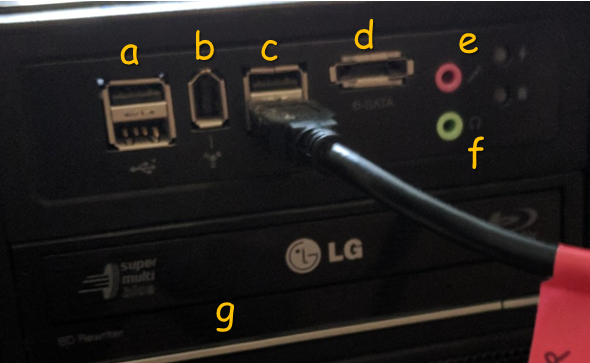 If someone could identify the ports labeled by letters (and numbers), as well as which of them can be replaced individually if faulty, I'd appreciate it. 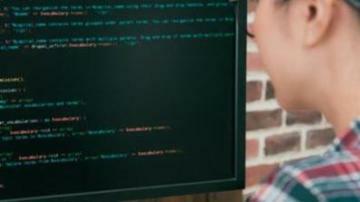 By the way, the panel near the top (labeled x in the first screenshot) appears to be removable. 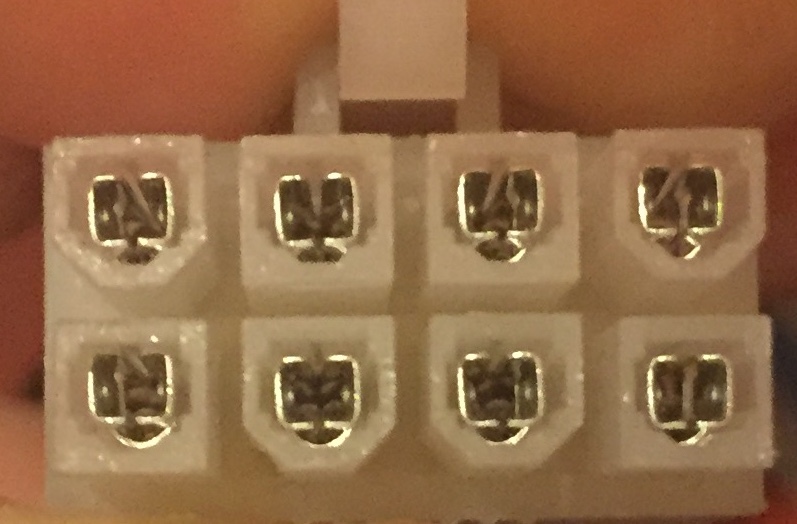 What type of component is that designed for? Also, I've always been curious about the multiple different-shaped (but mostly rectangle) openings in the video card (see 3rd image). Do they have some purpose? Can someone help me identify the types of ports shown in the next few screenshots? This cable must have the Molex power adapters. 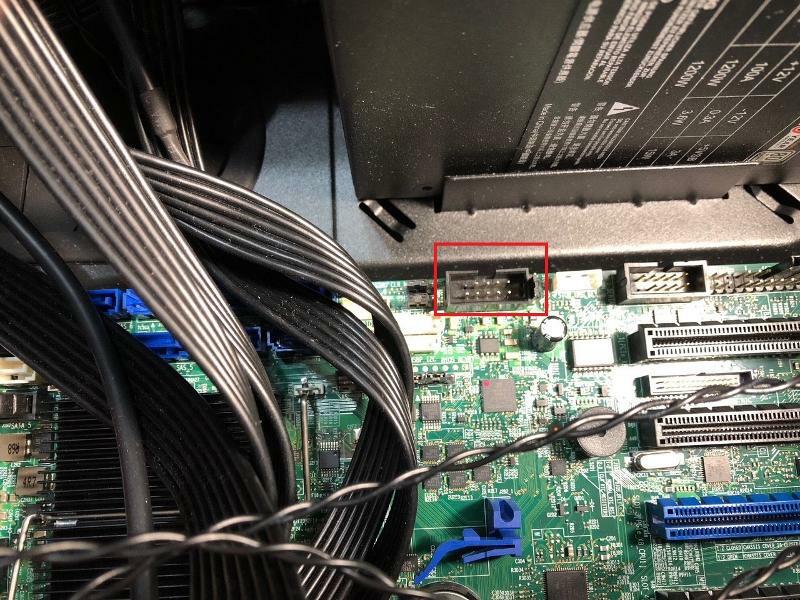 Are there any adapters I can purchase that will allow me to connect the front USB connector plug on a "CORSAIR VENGEANCE C70 Mid-Tower Case - Black" computer case to an Intel S2600cp server board? 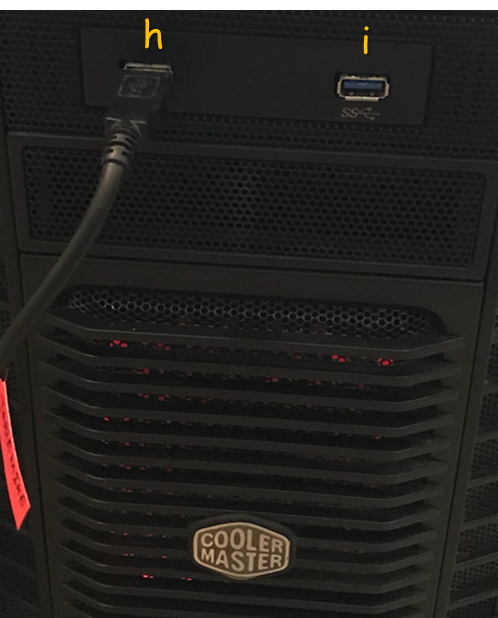 The plug for connecting the two front USB connectors on this case is different than the connector on the Intel S2600cp server board. 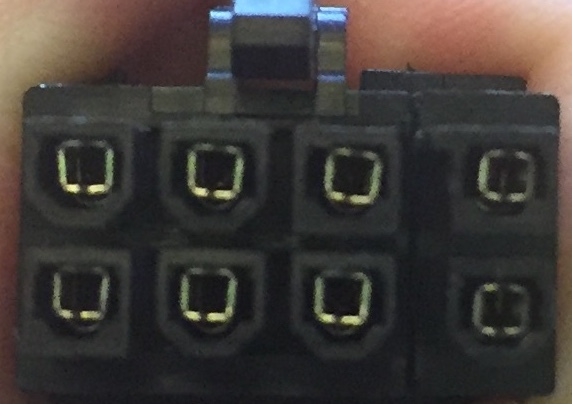 I have attaches pictures below of both the plug for this case as well as the connector on the server board where the front USB connectors should plugin. 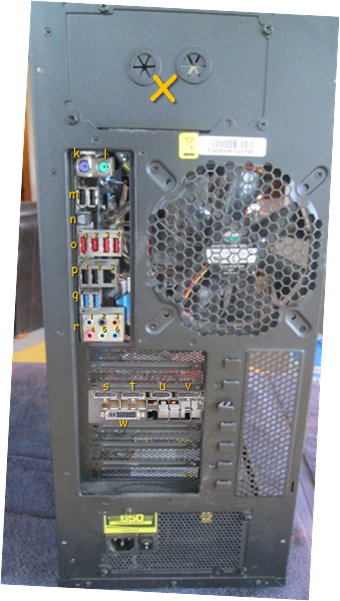 I have also attached the S2600cp server board manual and the S2600cp server board tech specs guide. The URL from where I purchased the case from is here. 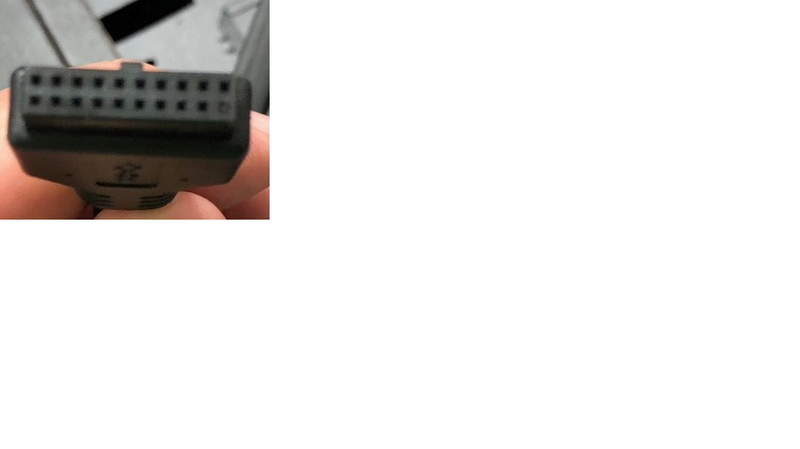 Please let me know if there are any adapters or converters I can buy that will allow me to connect these two front USB connector cable to this server board. "HGST Ultrastar 7K6000 HUS726060AL4210 6 TB 3.5" Internal Hard Drive - SAS - 7200 rpm - 128 MB Buffer - 0F22790" hard drives? I have an HP CP4525 color laserjet printer that gets stuck during the boot up process at 5/6 CF. Anyone know what could be causing this and how to correct it? does anybody know of any software and drivers to make it work on windows 10 ? I purchased a "USB3.0 to HDMI Adapter, USB to HDMI Converter with 1080P for Windows 7/8/10 Computer ONLY ( NO MAC / Linux /VISTA)" from Amazon. 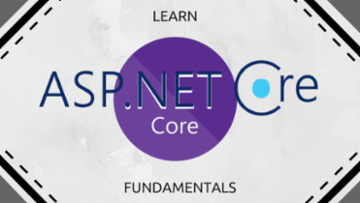 The link for this item is here. 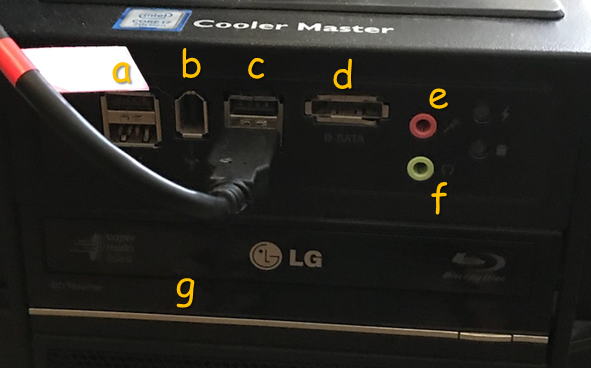 No matter which USB port I plug this device into it shows with a yellow exclamation point in device manager and the monitor I have connected to isn't recognized. I need the Windows 10 64-bit drivers for this device. According to this device's Amazon page, the drivers can be found by googling "Download - Hoplaza". However, when I google "Download - Hoplaza" and click on any of the URLs or when I try to go to the http://www.hoplaza.com website the website opens and says "Database error, Error establishing a database connection." I have posted a question about this on the Amazon website but haven't received any responses yet. Please provide me with a valid URL address of where I can download the drivers for this device.